Summer always reminds me to try some dye projects. 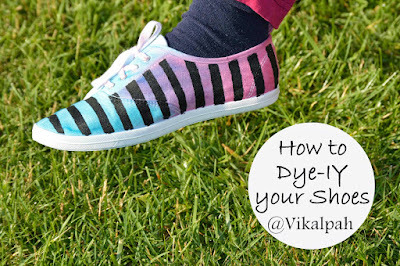 As Summer is approaching in few weeks, I thought it will be great to discuss on the topic of dyes. Technically, there are a lot of things which makes each dye unique but let's not go deep into those stuffs. Rather we will discuss what are different brands & types of fabric dyes available in the market which are widely used by crafters like you & me, type of fabrics they are compatible and some projects using that particular brand of dye.Shall we? Not recommended for : 100% Polyester, acrylic, acetate or fabrics with special finishes, rubber backing, cold water wash or labeled Dry clean only. 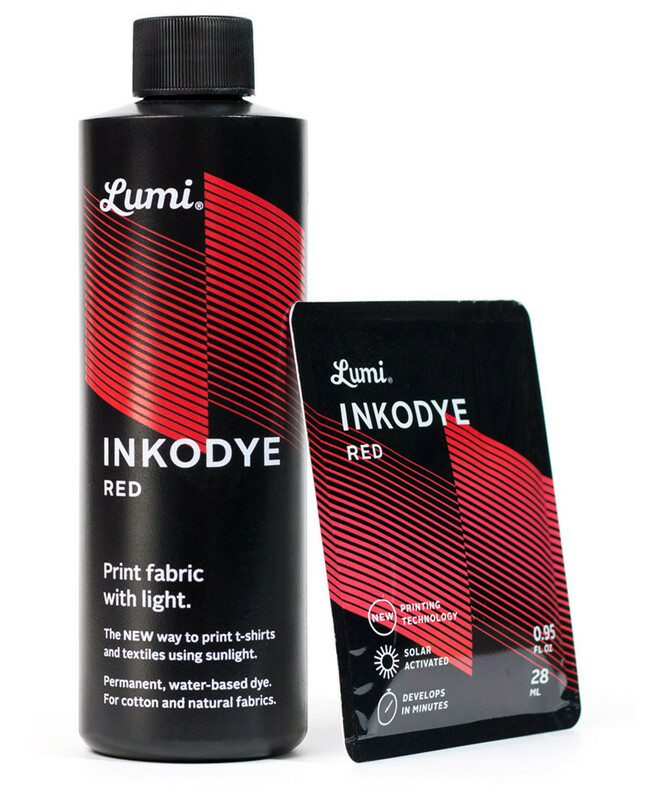 Inko dye is a photo sensitive water based dye. It can be mixed to create new color dye. It can be used only on natural fabrics and the color is developed when exposed to bright sunlight or UV. 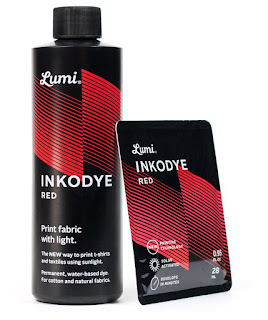 Inko dye binds to any absorbent natural fiber such as cotton, linen, raw silk, jute, hemp, raw canvas, burlap, bamboo, muslin, wool and even raw leather, suede, untreated wood and unglazed ceramics. 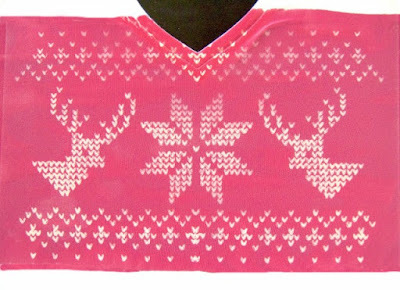 It can also be used on cellulosic semi synthetics such as viscose, modal and rayon.It can be used with natural and synthetic fibre blends such as 50% Cotton 50% polyester but the result may not be as vibrant as you see with the natural fibers as the colors will wash out of the synthetic blend. Not recommended for : Purely synthetic fibers such as polyester, nylon, acrylic and also non fibrous materials such as metal and glass. It is an organic compound with distinctive blue color. 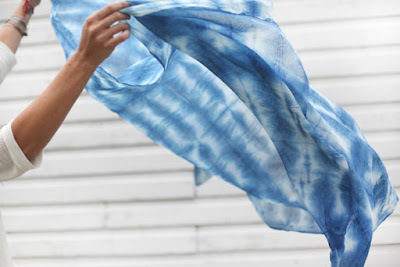 Historically, Indigo was a natural dye extracted from plants.Nowadays, Indigo dye is produced in large quantities using synthetic process and are mainly used in denim production. (Blue jeans). 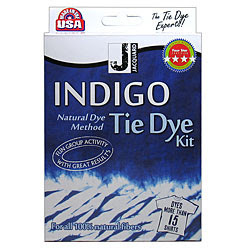 Jacquard, a leading manufacturer of craft products has a Indigo Tie dye kit which is popular if you wants try your hands on Indigo dye. 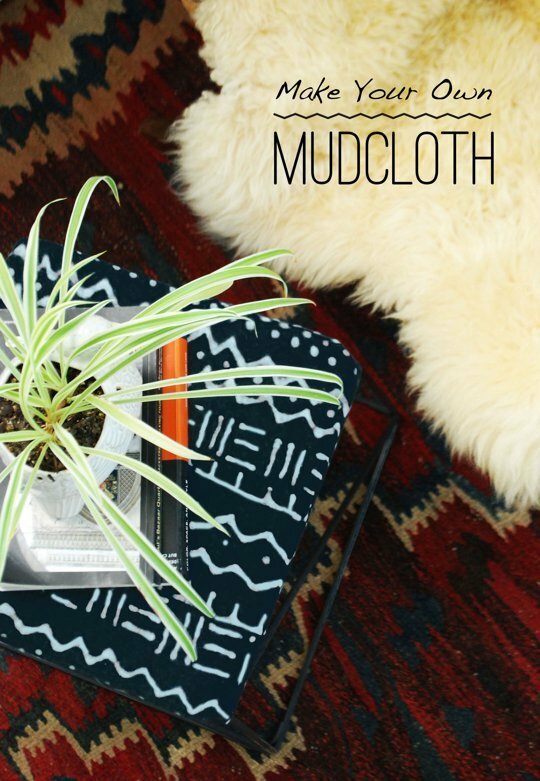 It can be used on all natural fibers like cotton, wool, silk, linen, wood. This is a highly saturated, highly transparent fluid acrylic paint is a permanent dye.It can be used on any porous or semi-porous surface, including natural and synthetic fabrics.This dye/paint spreads on fabric until it is absorbed and even, sinking into the fibers instead of sitting on the surface like inks and paints.The colors are intense, wash fast and will not change the feel of the fabric.It is a versatile dye and can be used for many applications like silk painting, wood staining , etc. 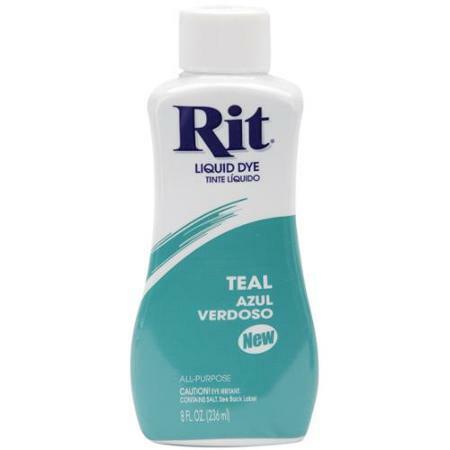 This dye product is manufactured by Jacquard company. 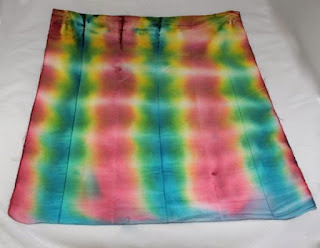 This dye needs to be heat set and washed in cold water to get the dye fixed.Various techniques like sun printing, batik , tie dye, water color effects can be achieved. To achieve lighter shades of the color, this dye/paint can be mixed with water. Tumble dye is a pre-mixed pigment dye which is easy to use and eliminates the need for masks, fixatives and tons of rinsing to remove the dyes in the surface. It is a permanent dye but colors will fade after some washing. This dye also needs to be heat seat in the dryer for 20 minutes or using a hot iron. 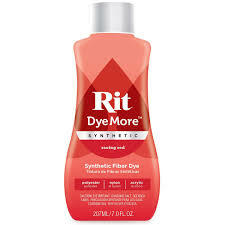 This dye can be mixed for more color options. It is a non-toxic , environmentally safe dye and great for kids party. 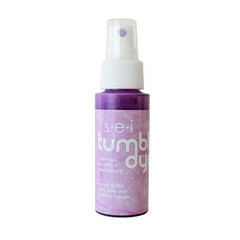 This dye can be used on fabrics, wood, paper, silk, trims, dried flowers and more. For more tips nd tricks, click here. 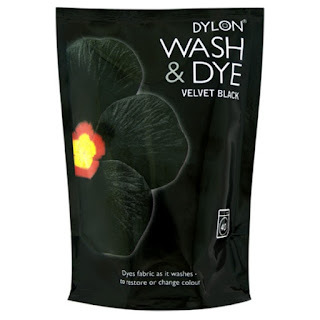 Dylon fabric dye is a permanent fibre reactive dye. Natural fibers like cotton, linen, viscose can be dyed with dylon. Helps in achieving bright and intense colors. Blends like cotton and polyester will result in lighter shades. 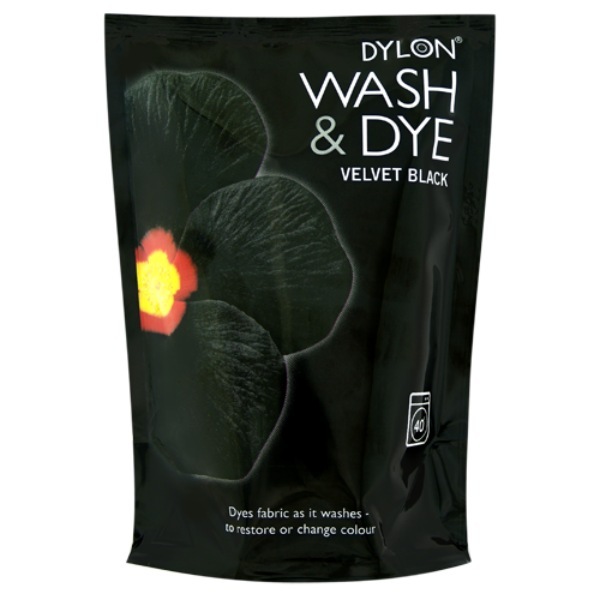 Synthetic fibers cannot be dyed with dylon dyes. 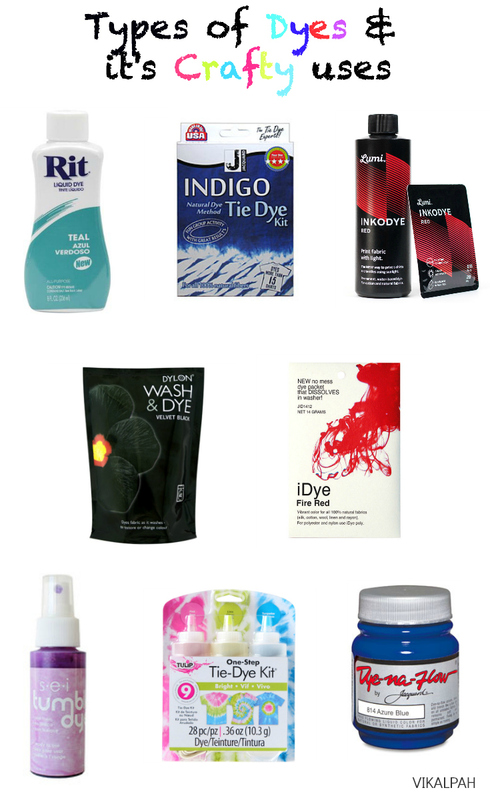 This company has three kinds of fabric dyes such as machine use, hand use and Wash & Dye. Machine use and Wash & dye, these two varieties are used for dyeing the fabric in the washing machine. However the instructions for these are slightly different. So, before using these dyes, please read the instructions carefully to achieve the result. Not recommended for : Synthetic fibers, Wool, silk, nylon and fabric with special finishes. As fancy as it sounds, this is a simple dye that comes in a dissolvable packet so there are no messy handling involved. This dye produces brilliant colors and it can be used on stove top method or in a washer. This dye needs hot water for the dyeing process to take place irrespective of whichever method you use. 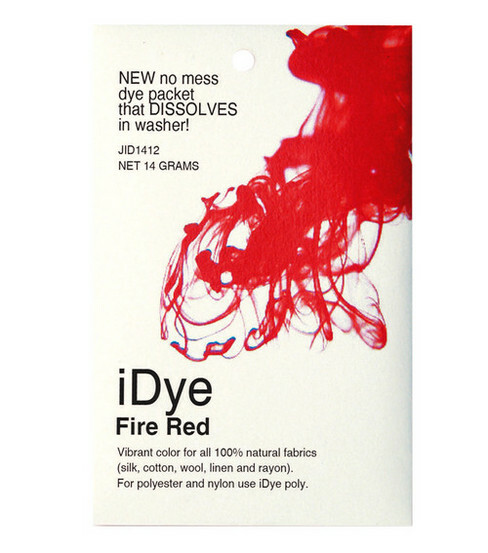 There are two varieties of iDye available. One for natural fibers like cotton, linen, silk, etc and other one called iDye poly for synthetic fibers like polyester, nylon, acrylic, etc. 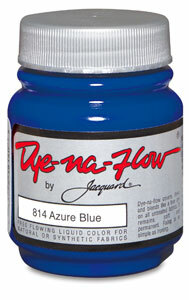 This dye can also be used to dye plastics such as toys, wigs, urethane coatings, frisbee, etc. When using blends, the company requests to use one packet of iDye for natural fibers and iDye poly of the same color. 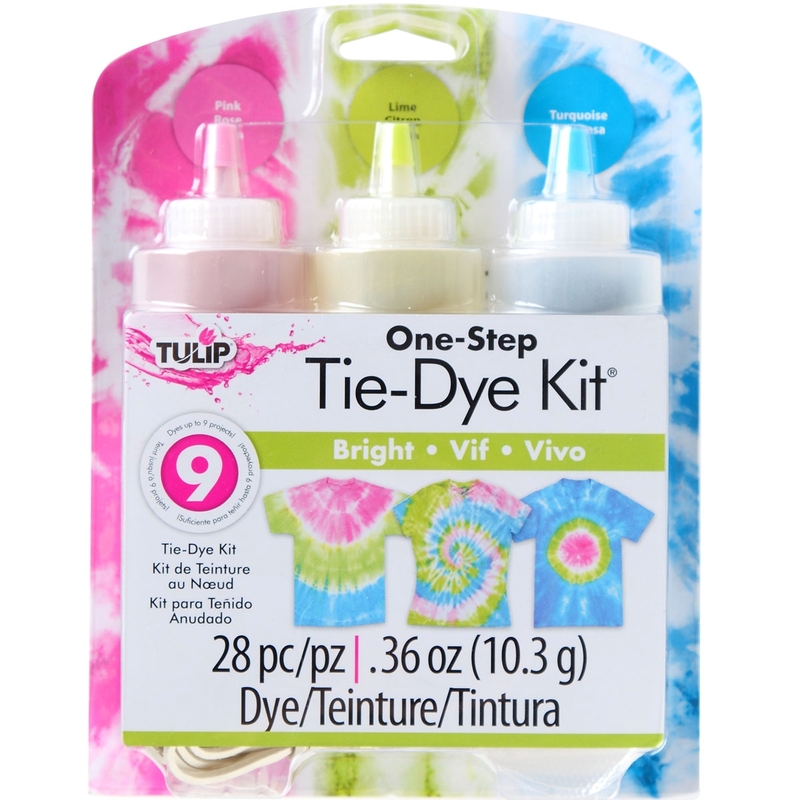 This company is famous for its Tie dye kits. These kits are ready to use, you just have to add water into the bottle, shake it and apply on the fabric. There are two different techniques with which this dyes can be used - wet technique and dry technique. How to instructions comes with the kits. 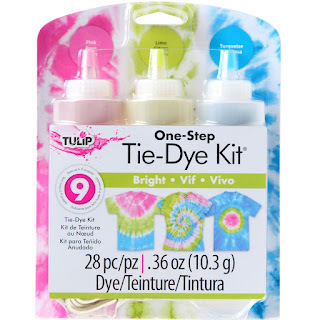 These are fun when are planning for tie dye party. This brand also sells regular fabric dyes in powder as well as liquid form. 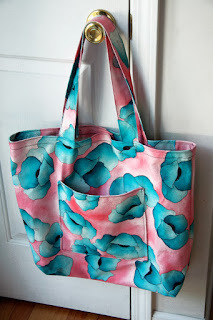 Hope this blog post inspires you to try different dyes and techniques this summer.Always read the instructions carefully before using a particular dye because each dye is different in its chemical composition and each dye has to be used in certain way to achieve best results. 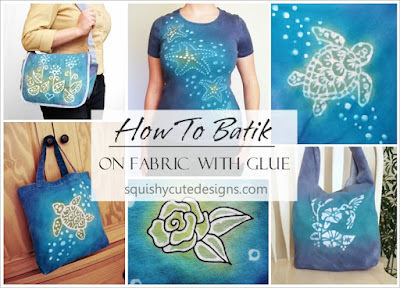 What kind of dye project have you done before? Did I miss any popular dyes? Share with me in the comments below. As always I will be happy to hear from you. This is quite an informative post. I'm definitely going to have to keep it handy. 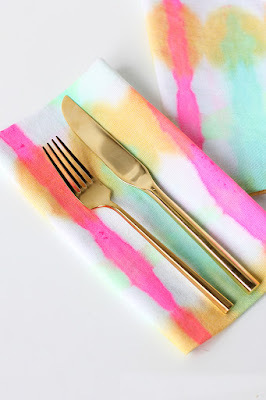 I've considered doing some dye type of DIY projects, but haven't done it YET. Thanks for sharing all of your research on Welcome Home Wednesday this week! Thanks for such a great explanation on different dyes! What types of powder dye are suitable for cold tye dye?